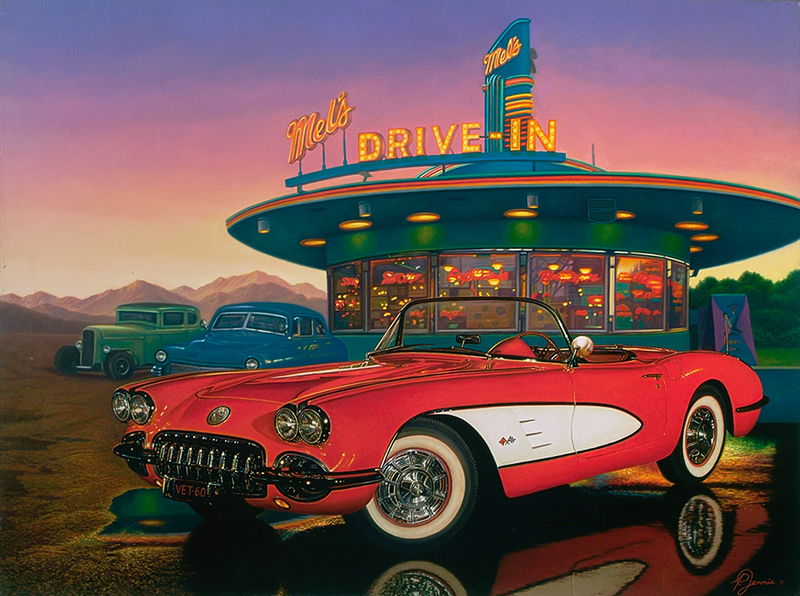 Paul Jennis loves to create oil paintings of reflective objects like classic cars, planes, and motorcycles. The details are important to the owners of these luxury items. He spends many hours making sure everything is mechanically correct as well as artistically correct. Paul used to do work for a publishing company of Harley Davidson. He likes to use very bright colors to make the cars and motorcycles jump off the page. 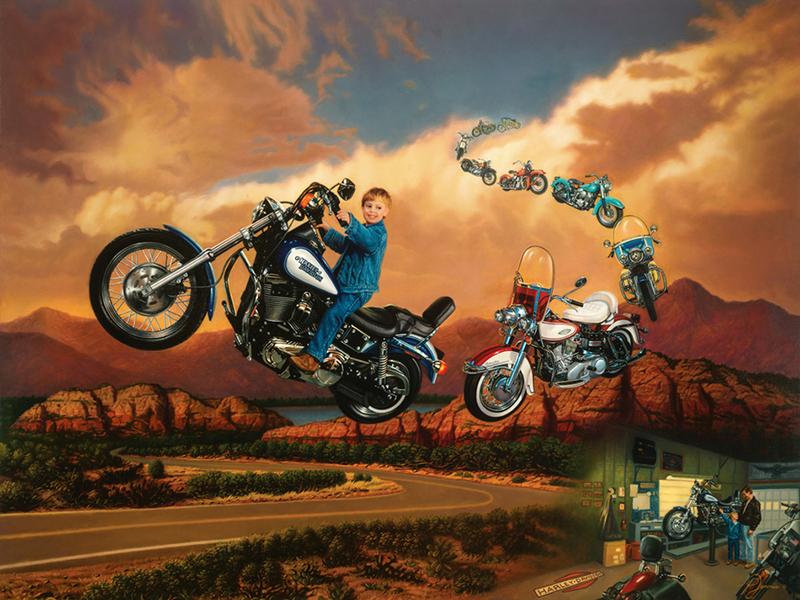 The History of Harleys took six months to complete. 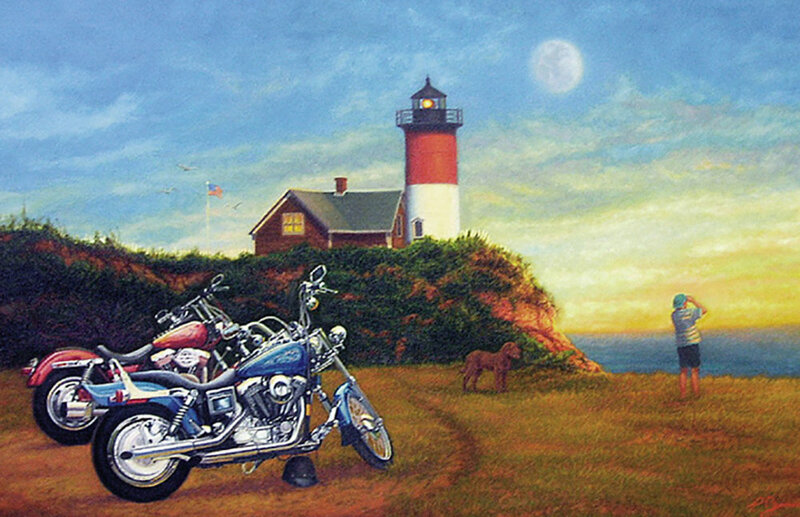 This kind of motorcycle oil painting is meant for collectors and motorcycle enthusiasts.